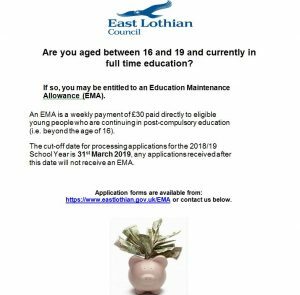 Please see below information from the EMA Team. 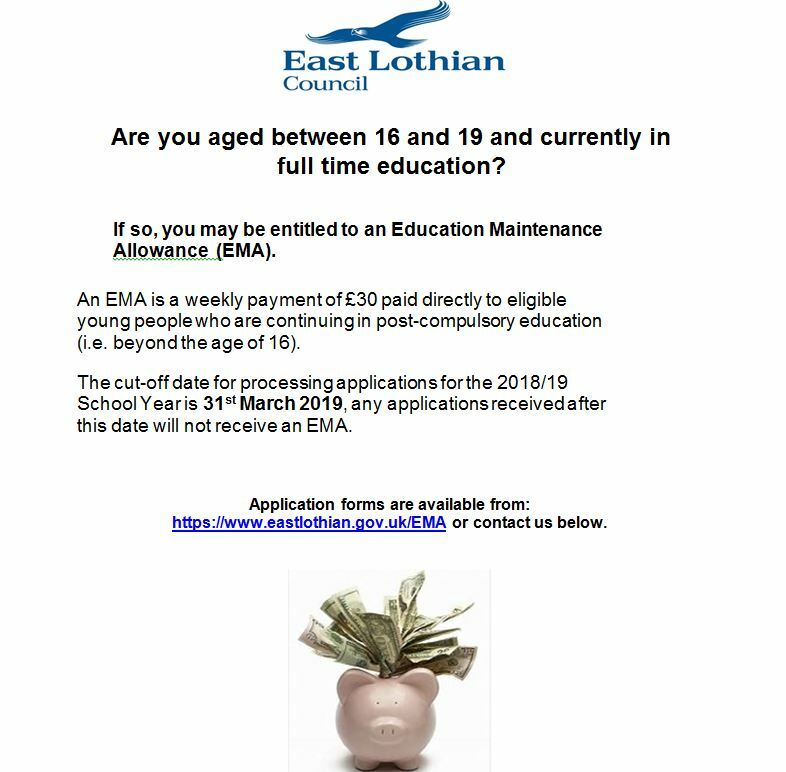 Applications must be received by 28 February 2019 in order for the payments to be backdated to the start of the January term. 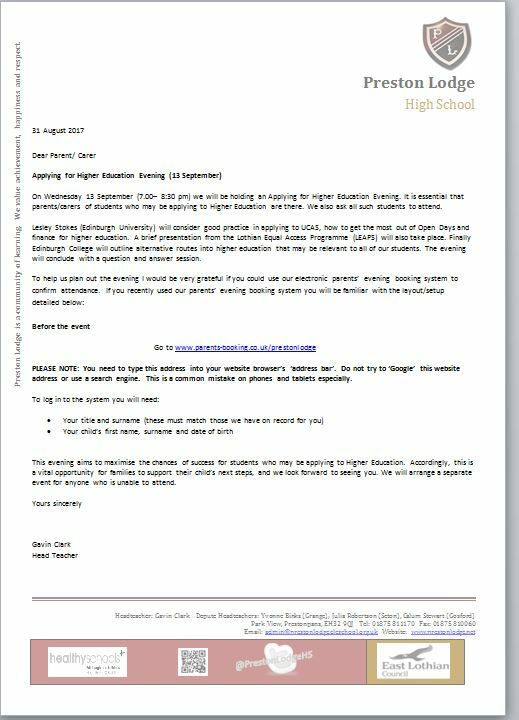 Please see below a letter regarding the S2 Options Evening on Wednesday 10 January 2018 that will be distributed to students tomorrow. Due to the deep clean of our school kitchen, tomorrow’s Great PL BBQ has now become the Great PL Ice Cream Scoff. Each student will receive a Luca’s ice cream after interval. 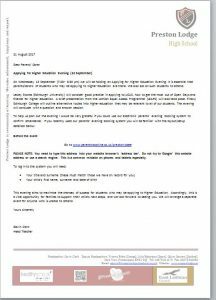 Preston Lodge High School goes global!